Mmmm. Me like. 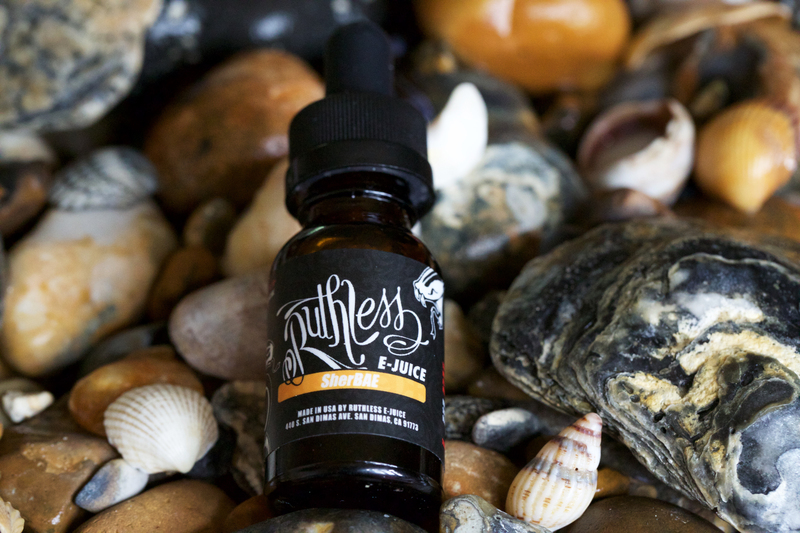 I’ve been aware of Ruthless for a while now but nowhere local to me stocked their juice and I’m now super cautious of buying online. I don’t want to spend hard earned money on a juice that is less than disappointing because I didn’t get a chance to try it first, so I TRY to limit myself to things I’ve actually tried. When I found out my local shop was stocking them I went in to try them all and this is the one I picked, it was definitely my favourite but there’s some other crackers in the line too! SherBAE is an orange sherbet sorbet flavour and it is gorgeous, firstly I love orange flavours in juice. Or have at least lusted after them because I’ve not found one that’s really good. The best way I can think to describe this is the orange flavoured tic tacs, it is incredible! I absolutely love it and am so glad I got to pick it up. The inhale is beautifully sherbety and almost sharp, the flavour mutates on the exhale and turn into a creamy orange. Leaving your mouth tasting like you’ve devoured a pack of orange tic tacs, now, if that doesnt sound good to you then something must be wrong. Price is a bit of a downfall, I paid £9.99 for 15ml which is quite expensive but it’s a premium USA made juice so I kind of expected it. Still, if they wanted to make it like £6.99, I wouldn’t mind 😉 infact, I’m all for it because it is really good and I’m a student. 😉 I am just being cheeky, I’ll still buy them.